While Hanukkah candles are being lit all over Israel, a war over Christmas trees is heating up in the Holy Land, as rabbis fight a battle over the religious character of Israel: whether it will be a pluralistic “House of Prayer for All Nations” or a monolithic Jewish enclave. The battle is being fought on two fronts: Jerusalem hotels and a university in Haifa. Last Tuesday, the Chief Rabbinate of Jerusalem sent letters to hotel managers in the city, requesting they not put up Christmas trees, stating it contravened Jewish law. Many hotels and restaurants took heed. The rabbinate is the source of their kosher certification, an essential for financial success in Jerusalem. But even if a hotel chooses to display a Christmas tree, defying the request, the rabbinate cannot invoke punitive measures. A 2015 Supreme Court ruling led to new Kashrut guidelines which required inspectors to only consider kashrut standards of the food when issuing or revoking certificates. These guidelines forbid the rabbinate from revoking a kashrut certificate for non-kashrut related issues, such as Christmas trees. Another front in the Christmas tree wars is being fought at the Technion University in Haifa. 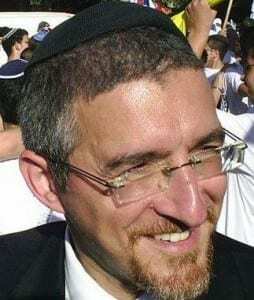 Rabbi Elad Dukov, the rabbi of the University, publicly objected to a Christmas tree that was placed in the student center at the request of Christian students, ruling that it was forbidden for Jewish students to enter the building while the tree was present. Many religious students complied. Srugim, a Hebrew language news service serving the religious Zionist sector explained Rabbi Dukov’s reasoning for his ruling stating that a Christmas tree is an utterly pagan symbol, not Christian. Therefore, he clarified, it falls under the Torah laws pertaining to paganism, not the laws pertaining to Christianity. Further, one of the victories of Judaism epitomized by the holiday of Hanukkah was the establishment of monotheism. The tree is a return to paganism, argued Rabbi Dukov, adding that he does not want the Hanukkiah (Hanukkah lights) next to a symbol of what the Maccabees fought against. Due to the tree’s inherent pagan nature, Rabbi Dukov ruled that it is forbidden for Jewish students to eat in the building, which would require them to say blessings including the name of God. The Jewish State should be a light to the nations, Rabbi Dukov concluded. Freedom of religion does not mean including any idea in an unregulated manner. 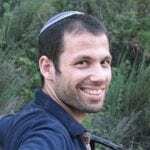 The ruling created a storm of controversy, including a call by Knesset Member Dr. Yousef Taysir Jabareen (Joint Arab List) for the university to fire the rabbi and for Attorney General Avichai Mandelblitt to open a criminal investigation. The Center for Jewish-Christian Understanding and Cooperation in Jerusalem (CJCUC) released a statement decrying Rabbi Dukov’s ruling, citing established rulings in Jewish law that contradict the rabbi’s statements. 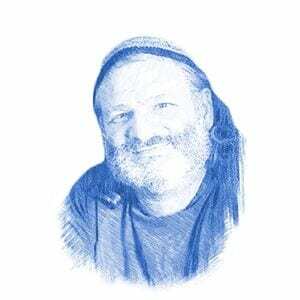 Ger toshav is described in the Bible as a non-Jewish resident of Israel who adheres to the seven Noahide commandments. A ger toshav is considered praiseworthy, being on a higher spiritual level than those living outside of Israel. The statement quoted Micah as a Biblical source. “Let us respect and work together with those nations who accept the morality of God’s covenant with Noah and let us use our energies to fight the terrorism running rampant in a world in which a large segment no longer sees peace as the highest ideal,” the statement concluded. The declaration was signed by CCJUC Founder Rabbi Shlomo Riskin, Executive Director David Nekrutman, Associate Director Rabbi Pesach Wolicki, Rabbi Dr. Eugene Korn, Rabbi Abe Reichman, Rabbi Alan Yuter, and Rabbi Joshua Ahrens. Rabbi Wolicki told Breaking Israel News his motives for reacting were purely related to Jewish law.